This April we celebrate Second Chances Month — a time to recognize and honor individuals and organizations that are working hard every day to make real second chances — and sometimes first chances–possible for those impacted by the justice system. 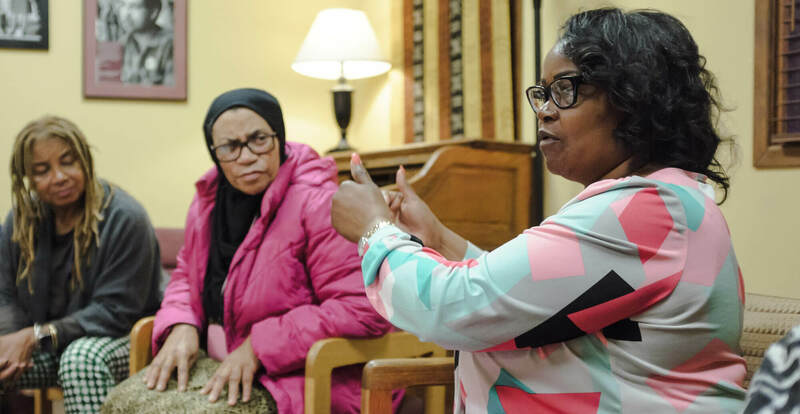 Through its Women Organizing for Justice and Opportunity cohort, CZI grantee A New Way of Life trains formerly incarcerated women how to navigate the foster care system to help women rebuild their lives after prison. Photo courtesy of Louisa St. Aubyn. Operation Restoration: Based in New Orleans, Operation Restoration is an organization directed by formerly incarcerated leader Syrita Steib-Martin. Their mission is to give women the tools to successfully reenter society through the advancement of education, employment training, and opportunity identification. Funding from CZI specifically supports Operation Restoration’s work to organize Unlock Higher Ed to restore Pell eligibility to people in prison, and to advance other policies to increase educational access for students with criminal convictions. Community Success Initiative (CSI): CSI’s vision is to help create communities where people discover their potential, set worthy goals for their lives, and take action in a positive way, with a focus on assisting men and women who find themselves entangled in the criminal justice system. CZI is supporting CSI’s leadership on the North Carolina Second Chance Alliance, a statewide alliance of people with criminal records, their family members, service providers, congregations, community leaders and concerned citizens that have come together to address the causes of criminal records and the barriers they create to successful reentry. Common Justice: CZI is proud to partner with Common Justice, an organization that develops and advances solutions to violence that transform the lives of those harmed and foster racial equity without relying on incarceration. Common Justice operates the first alternative-to-incarceration and victim-service program in the United States that focuses on violent felonies in the adult courts. It’s a model that seeks accountability without the use of prison, and true healing for all parties involved. Community Legal Services of Philadelphia: Has provided free civil legal assistance to more than one million low-income Philadelphians. CZI is partnering with CLS to help ensure successful implementation of Pennsylvania’s recently passed clean slate legislation. A New Way of Life Reentry Project provides housing, case management, pro bono legal services, advocacy, and leadership development for women rebuilding their lives after prison. The organization also works to change state and local laws, policies and regulations through advocacy and community organizing. Californians for Safety & Justice: A nonprofit working with Californians from all walks of life to replace prison waste with common sense solutions that create safe neighborhoods and save public dollars. CZI specifically supports CSJ’s #TimeDone Campaign, which organizes people living with past convictions and raises awareness of the extreme barriers they and their families continue to face long after they’ve paid their debt. The campaign, in partnership with local organizations across the state, aims to eliminate these harmful legal obstacles and build power to ensure public policies advance the safety and well-being of communities. We’d also like to recognize our existing partners at the Roberts Enterprise Development Fund (REDF), which helps people returning home from incarceration access the resources and support needed to stabilize their lives, develop a work history, and build skills and conﬁdence. To date, REDF’s partners have earned over $603 million in revenue and employed over 31,000 people (and counting). And our partners at The Last Mile, which prepares incarcerated individuals for successful reentry through business and technology training. 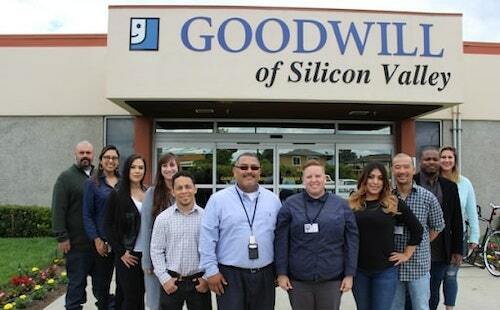 Pablo Gaxiola, Operation Manager for the NOW program –a social enterprise supported by CZI Grantee REDF–which helps Goodwill participants transition from incarceration to employment. 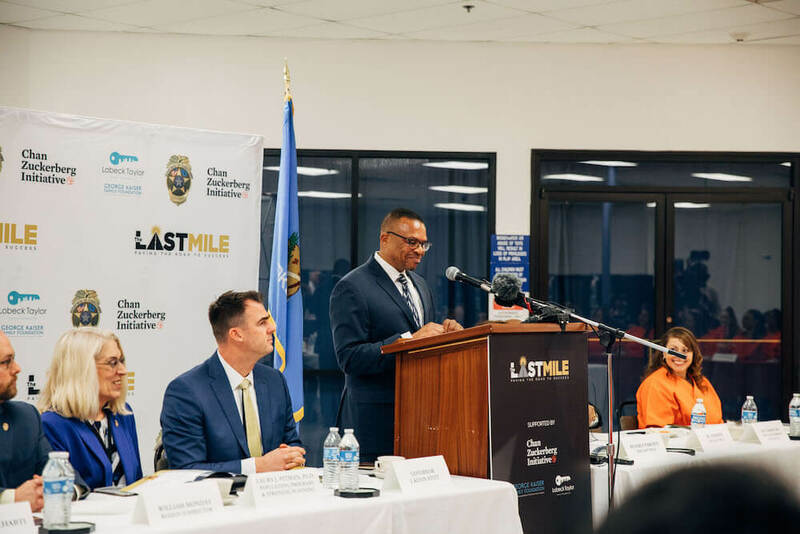 Aly Tamboura, Criminal Justice Reform Manager at CZI, and Oklahoma Governor Kevin Stitt, speak to incarcerated students at The Last Mile program launch at Mabel Bassett women’s correctional facility in 2019.